Almost everyone has at one time, or the other experienced a hair-raising situation in which they have felt panic-stricken and out of control. While a modicum of anxiety in the face of a temporarily stressful situation is a regular occurrence, a prolonged period of anxiety that makes you react irrationally and sometimes in an extreme manner all the time is a sign of an underlying psychological condition. Our body and mind have been designed in such a way that when the mind perceives danger, it immediately sends stress signals to the body. These signals trigger a fight or flight response, making the heart race faster than normal, quicken the rate of breathing, and make the body kick into the high alert mode. Such an extreme reaction is required in perilous circumstances. However, when the mind errantly starts sending stress signals to the body and such reactions begin to appear even in the face of ordinary events, then you experience chronic anxiety which takes a significant toll on your overall health. Post Traumatic Stress Disorder (PTSD) – People who have witnessed a war or have been in an accident may develop PTSD. This disorder gives rise to symptoms like recurrent nightmares related to the traumatic incident, insomnia, irritability, and depression. General Anxiety – When you start experiencing anxiety and stress over the smallest of everyday events, then you are suffering from general anxiety in all likelihood. This condition can pave the way for more serious health issues like cardiac problems, hypertension, and stroke. Social Phobia – When a person is severely uncomfortable in public places, they suffer from anxiety when dealing with people. Aside from prescribed medication to tide over such a psychological problem, there are several lifestyle changes that you can consider to help bring down the level of anxiety that you suffer from. Steer Clear of Too Much Caffeine – Excessive consumption of caffeine is a sure shot trigger for chronic anxiety and nervousness. Avoiding too many caffeinated beverages in a day is a great way to avoid hyper-anxiety. Consider Taking A Curcumin Supplement – Curcumin, a natural polyphenolic pigment found in turmeric, tops the list of natural remedies that alleviate depression and stress by countering stress-related biological processes. Curcumin has even been compared with a common prescription anti-depressant known as Prozac at many studies indicate that the effects of curcumin are just as good as those of Prozac. Since curcumin does not exhibit any of the side effects that Prozac unleashes, it is perhaps a better alternative of the two. 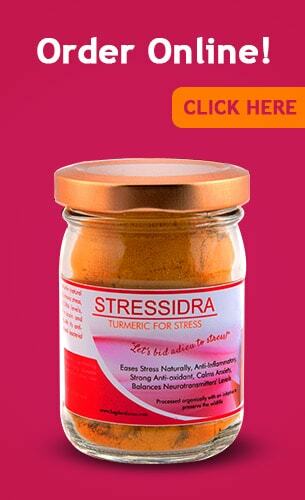 Stressidra, a curcumin supplement created at Bagdara Farms in Katni, Madhya Pradesh is one of the most popular remedies amongst those suffering from chronic anxiety disorders of all kinds including the more severe ones like PTSD. The most attractive feature of Stressidra that makes it trump over all other regular curcumin-based supplement is its organic curcumin content. Made using pure, unadulterated, and organically grown curcumin that is locally cultivated at Bagdara Farms, Stressidra is perfect for all including those who have sensitive systems. One of the primary reasons behind most psychological conditions is chronic inflammation. Low-grade pain that persists for long is a sure shot precursor to depression and anxiety. The anti-inflammatory effects of curcumin are incredibly beneficial in resolving chronic inflammation by inhibiting the activity of pro-inflammatory enzymes that cause chronic inflammation in the body. Curcumin has anti-depressant effects that are comparable to drugs like Prozac. By increasing the production of mood-enhancing neurotransmitters like serotonin and dopamine and by slowing down the activity of enzymes that break these neurotransmitters down, curcumin helps in alleviating extreme anxiety and depression. Curcumin enhances the impact of prolonged anxiety on the brain. Multiple benefits like lowered levels of salivary amylase enhanced free radical neutralising and reducing the blood markers that indicate brain deterioration can be accrued by regularly taking a curcumin supplement like Stressidra. Curcumin helps in reducing the oxidative stress in the body by neutralising both reactive oxygen and reactive nitrogen species. Lower oxidative stress automatically means lower stress-induced anxiety and depression. Curcumin also reduces the production of cortisol – a stress-related hormone that promotes accumulation of belly fat and elevated blood pressure. Try stressidra today if you suffer from chronic anxiety of any kind and see how quickly your blues melt away! 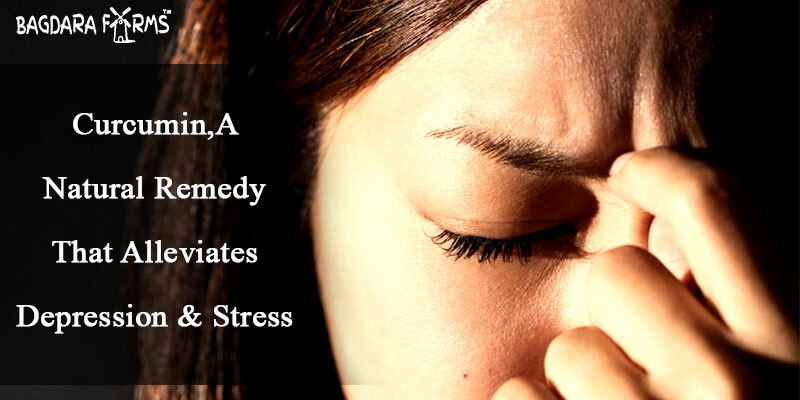 Stressidra contains pure and organic curcumin that has natural depression-fighting abilities. Curcumin is a potent anti-inflammatory agent that helps curb chronic inflammation which is one of the leading reasons behind depression. Research has also proven that the effects of curcumin are comparable to the effects of prescription drugs like Prozac. Curcumin increases the production of mood elevating neurotransmitters like serotonin and dopamine. It also reduces oxidative stress, a phenomenon that lowers stress-induced anxiety and depression. In short, Stressidra can definitely help you get rid of depression. You can even take it along with your prescription anti-depressant to augment its effects.